Keep Saturday May 31st on your radar! Carr Winery is organizing Santa Barbara’s Urban Wine Trail event of the summer that we are psyched to be apart of! Join our brilliant community of winemakers as 23 of our local tasting rooms and their producers all gather together for one night of tastings, delicious food from local Santa Barbara restaurants, and live music at the Carrillo Ballroom for an epic summer celebration! Youth Interactive is joining forces with the summer celebration as seven of our incredible artists will exhibit their art inspired by each of the wineries involved! All the pieces will be displayed throughout the venue for each winery to showcase at their booth. The art will also be available for purchase as apart of a silent auction in which all proceeds will go directly to Youth Interactive and the artists! 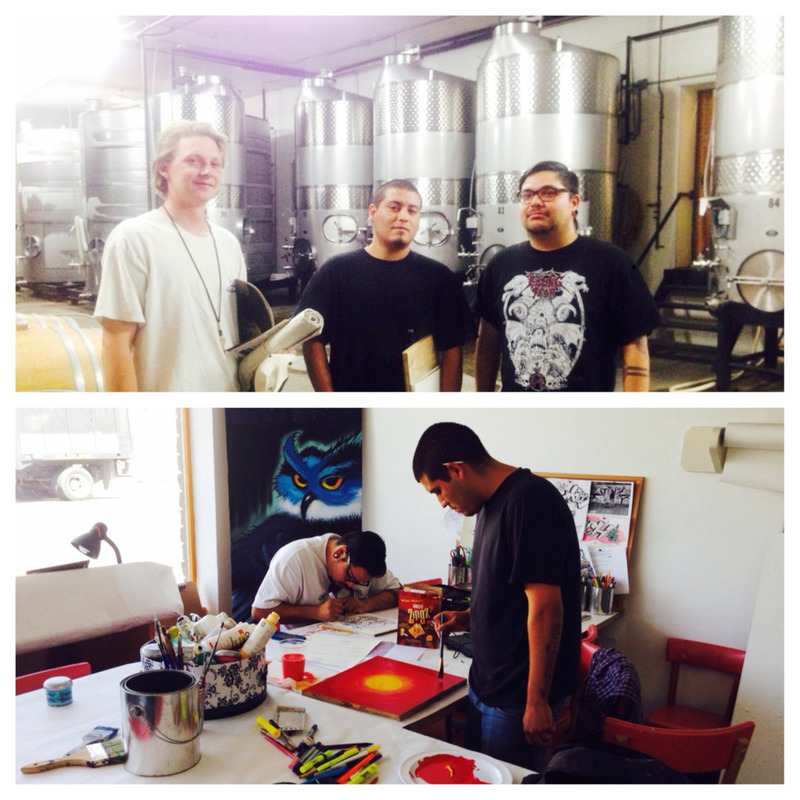 Here’s some pictures of some of the artists, Jon, Danny, and Harpo, who had the chance to go behind the scenes at Santa Barbara Winery during their meeting and some pictures of them working on their pieces. Let’s kick off the summer together, see you there!